Life takes unexpected turns, does it not? Trouble finds us when we least expect it. Family squabbles test our grit. We find love in unexpected places. 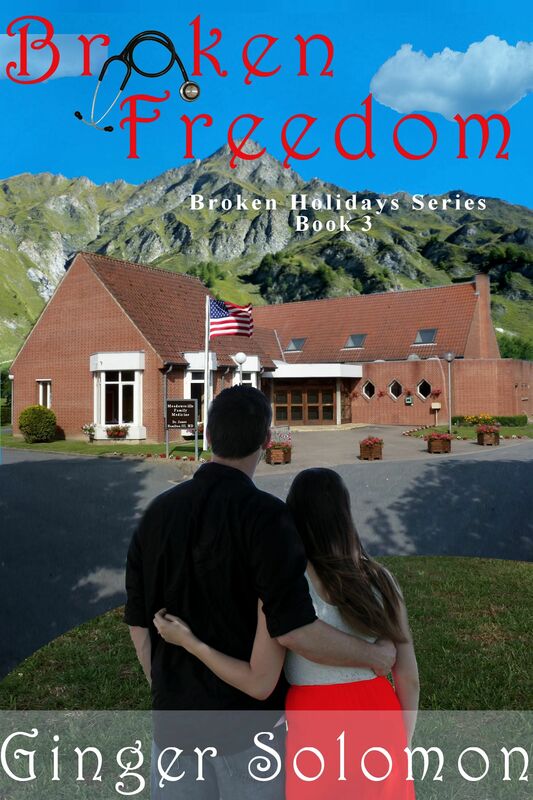 In my latest release, Broken Freedom, neither my hero nor my heroine are looking for love. They are both content with their lives as they are, even though they’re not happy. “What do you think you’re doing?” A woman’s voice raged at James Hamilton through the line. “What exactly did you tell him?” Her anger hadn’t abated. Life changed for them both with their unexpected meeting. Have you ever had something unexpected happen, maybe that seemed like a step back at the time, that proved to be extraordinary? Comment below before midnight Friday, August 27th for a chance to win an e-copy of Broken Freedom. I know. It’s a good problem to have though. Thanks for your blog and excerpt from your book. Over the six decades of my life, I have often seen God’s leading in my life with guiding me and my family through moves and job changes. Often the process was not easy emotionally and financially, but looking back they were for the best. Have a good week and remainder of summer. No, those changes aren’t always easy, but God knows what’s best. I pray your day is also blessed, Renate. I’ve had lots of life changes twists and turns but things have always worked out. Even when we don’t understand the outcome, the twists and changes always seem to work out, Nancy. Thanks for commenting. Thanks for the snippet. It sounds like it’s going to be a really good book! As for an unexpected thing…….I really can’t think of anything except maybe our fo fourth child being born many years ago. Now we can’t imagine our lives without her. Thanks for the excerpt. Life has its curve ball but in the end it’s how you deal with it that with makes you stronger or weaker. True, Kaleen. Bitter or better, right? Can’t think of anything right now (I just woke up – :-)) The excerpt sounds interesting! Well, good morning, Margaret. Thanks for making InspyRomance an early stop this morning. I enjoyed the excerpt. Is this book in the collection that came out earlier this summer? No, ma’am. It is a stand-alone novella, third in the Broken Holidays Series. This looks like a great story. Thanks for the info. I feel like extraordinary things happen to me every day. I am truly blessed. You’re welcome. What an awesome way to look at life, Melissa. Sounds intriguing, can’t think of any that seemed bad but ended good. Most days my life feels cursed and those that seem bad end up worse. I just keep plugging along and when life goes to the pot I grab a book and escape. I’ll pray for you, Cassandra. I pray God’s abundant and obvious blessings on your life. Sounds like a great book. I think everyone has gone through something in life that was not expected and ended as a blessing in some way. I have had a few good and bad moments. Just recently I was able to find a new job with better pay. After two months there I felt that God was telling me to leave. So I left and now i’m back to my lower pay job, but going back to school for my masters in mental health counseling and have been told there is a possible job in the same company opening for me :). God is awesome and works in His ways!!!!!!! Congrats, Evelitza. God is awesome! Thanks for sharing the excerpt, Ginger. It sounds like a great story. Sounds like a nice story. I really liked Broken Holiday, but I have to say Broken Valentine was pretty hard to swallow. I’m looking forward to Broken Freedom, though. My biggest curve ball I think was when my husband lost his job right after we got home from our honeymoon. God definitely used it for good though and we are very thankful to be where we are now. Wow, that would be rough. I’m glad things worked out, Katy. When I was in high school, my dad lost his job. He found another job out of state which caused us to move from California to Kentucky. I definitely thought it was a step backwards, but looking back now I can see how God orchestrated so much during that time to bring our family closer to Himself. God is always more concerned with our hearts than our bodies. I’m glad your family worked together to make it a special learning experience on God’s goodness. Thanks for the excerpt. My life has been a whole list of unexpected changes. All the more opportunity to see God’s blessings, Merrillee. Wow Ginger this book sounds amazing! I can’t wait to start reading it. Thank you for the excerpt and I look forward to many more of your books! I am looking forward to this book and would love a copy to read and review. Your book sounds great Ginger! We sure can’t see much when we’re in the valley, but the climb to the top of the mountain sure is worth it. Blessings, Trixi. Great excerpt! Thank you for sharing, Ginger!